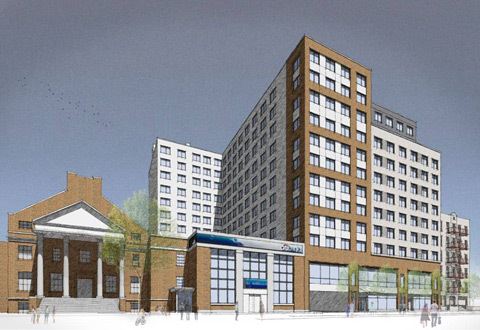 Tree of Life, a 174 unit planned mixed use Passive House certified apartment building, is being planned in conjunction with our partner, The First Presbyterian Church of Jamaica. Construction started in June, 2017. The project will include a community facility component operated by the Church. In addition, a large community health center will be included within the project. The roof will be covered with a substantial photovoltaic array system and a gas fired cogeneration system will serve to create energy on site while also serving as a backup generator during potential power outages. Amenities such as a gym, community room, an upper rooftop deck with sweeping long distance 360 degree views of the city, and common laundry rooms located on every residential floor will be included. Occupancy is expected during the winter of 2019.